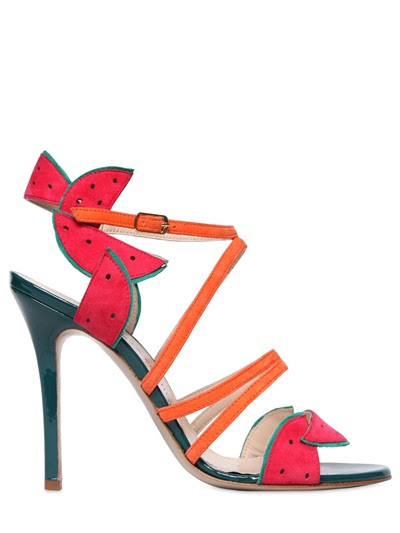 Today's National Watermelon Day, and we're celebrating with shoes and a cocktail inspired by summer's favorite fruit. If you're trying to do the same but you're not sure where to start, we've got you covered. 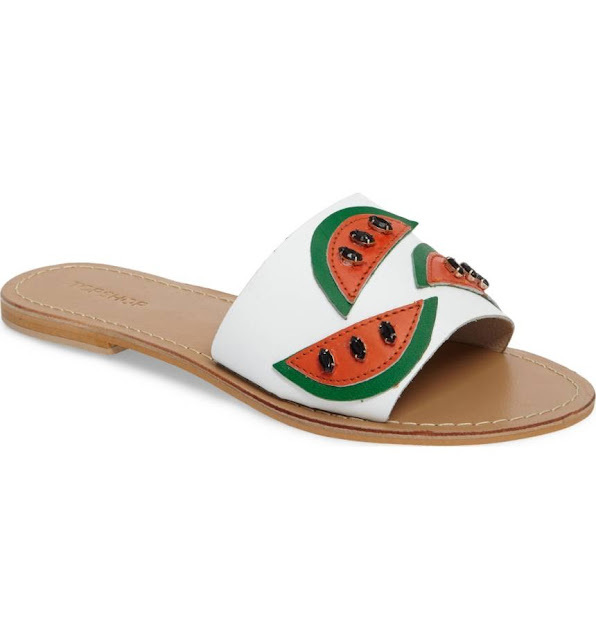 If flats are more on your level, these Happy Fruity Slides by Topshop will work, especially if you're sipping al fresco. Available at Nordstrom. And if you're living la vida luxury, this sandal from Camilla Elphick will do the trick. Does anyone else envision themselves twirling the night away on the dancefloor in these? They're currently on sale at Luisa via Roma. Combine ingredients in a glass over ice. Garnish with a watermelon wedge. 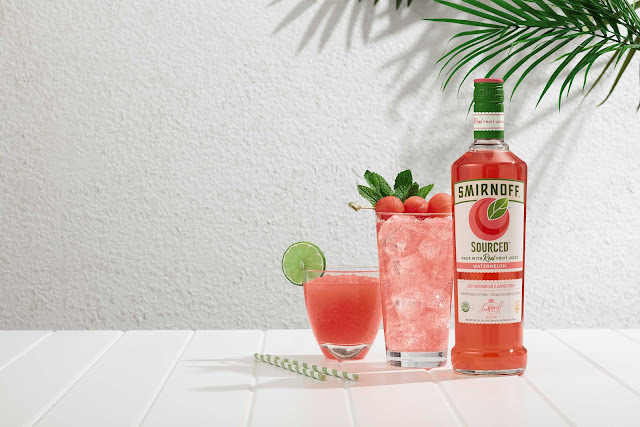 If your favorite bar doesn't have SMIRNOFF SOURCED Watermelon, you may be able to request a mixture of Smirnoff Vodka mixed with watermelon juice and the other ingredients. We're sure it'll also be pretty refreshing. Will you be drinkin' watermelon today? Whatever you drink, please do it legally and responsibly. *Shoes N Booze is an Amazon affiliate and receives commission from the purchase of linked products. Smirnoff is a product partner of Shoes N Booze and occasionally sends complimentary products for review.